Fashion is an omnivore. All manner of arts and culture are plundered for ideas and inspiration: Movies, art, history, books, music, you name it. Dance, in particular, is a recurring theme, and Mr. Valentino’s love for it is no secret. He’s designed costumes for several ballets, most recently for the New York City Ballet’s Fall Gala in 2012. This year, he and Mr. Giammetti will be on the honorary committee for the same event, which takes place on September 23rd at Lincoln Center. Five very varied fashion designers will be making the costumes for the gala, this time out. But fans of dance and fashion needn’t wait until then to get their fix. On September 13th, the Museum at the Fashion Institute of Technology opens the exhibition Dance & Fashion, a panoramic look at the close relationship between the two forms. 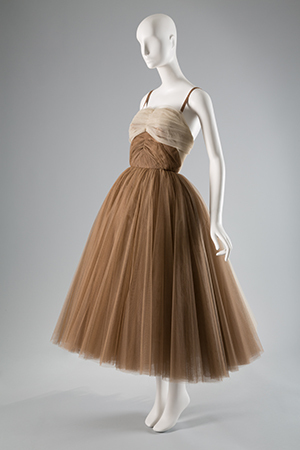 Organized by museum director Valerie Steele, the show will feature close to 100 dance costumes and dance-inspired fashions, ranging from the 1830s to the present day, including designs by Mr. Valentino. Back in 2012, Mr. Valentino was asked by New York City Ballet director Peter Martins to design the costumes for a new dance he had choreographed. The dresses were splendid—frothy confections, mainly done in black and white, that looked “straight out of a Russian novel,” according to New York magazine. The oh-so-appropriate title of Mr. Martins’ ballet? Bal de Couture.